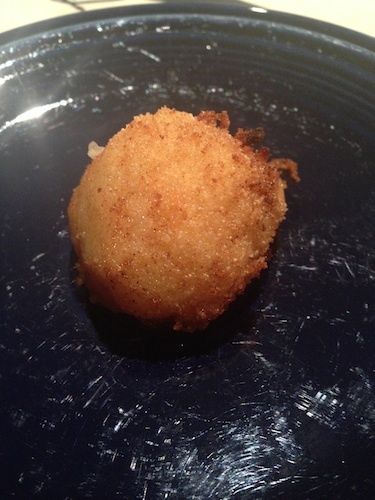 Maureen: I finally made arancini successfully! Hooray! 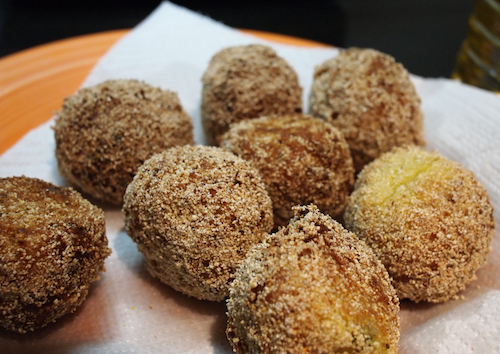 Tim: I made arancini once. Maureen: You did? I don’t remember that. Nicholas (9): Pictures or it didn’t happen, Dad. You know the rules. Maureen: What do you think? Maureen: Thanks. I am pretty pleased with them. What do you think boys? Nicholas: They’re OK, I guess. Tim: Did you dip them in egg?